The iDEAL TP10KAC-DX 10,000 lbs. ALI Certified two post lift is a premium Bi-Symmetric design clear floor vehicle lift. Offset three stage short arms and a low pad height of 4" make this lift perfect for a wide range of vehicles. 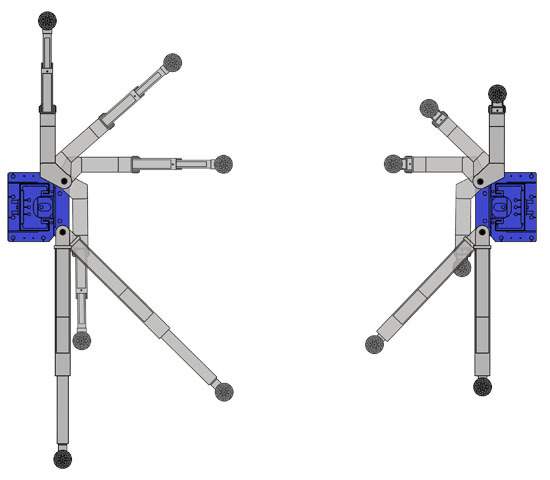 Our rigid single piece column and direct pull cylinder combined with single point lock release and clean design make this lift one of out most popular models. 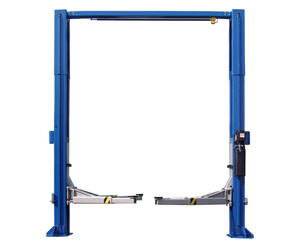 Width Overall W/Power Lift 145 1/2"
With Tallest Adapter 76 1/2"
Floor to Overhead Shutoff 136"
Arm Reach Front 23" - 45"
Arm Reach Rear 41" - 57"
4.Upon delivery of goods, the Customer has sole responsibility to notify Auto Lift Distributors of missing parts or concealed damage within 72 hours of receipt. If no notification of missing parts or of concealed damage is made, all parts will be purchased after 72 hours has passed. 5.The Customer must notate on the freight receipt any visible damages to packing and/or equipment.The Customer has the right to refuse any shipment that appears to have been damaged or mis-handled in shipping.If the customer signs “clear” on visible damage, the freight company will reject the claim, thus making the Customer liable for any charges to replace equipment and/or parts. 6.The customer must make arrangements to unload the equipment from the freight trailer, no labor or equipment rental will be paid by Auto Lift Distributors. Auto Lift Distributors LLC will replace any defective part under warranty at no charge as soon as said parts become available from the parts manufacturer. However, the purchaser is responsible for shipping charges involved; and no warrantee or guarantee is given as to the immediate availability of the replacement part. Auto Lift Distributors LLC reserves the right to make improvements and/or design changes to its lifts without any obligation to previously sold, assembled or fabricated equipment. There is no other express warranty on the Auto Lift Distributors lifts and this warranty is exclusive of and in lieu of all other warranties, expressed or implied, including all warranties of merchantability and fitness for a particular purpose. This Warrantee is granted to the original purchaser only, and is not transferable or assignable in any manner whatsoever. Some States do not allow exclusion or limitation of consequential damages or how long an implied warranty lasts, so that the above limitations and exclusions may not apply. This warranty gives you specific legal rights and you may have other rights, which may vary from State to State.